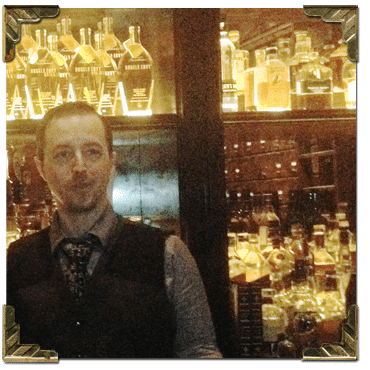 Chris Marty is an owner of Marble, an amazing bar in Chicago’s Logan Square. He’s been an industry lifer since the age of thirteen, and has been behind the stick for fourteen years. He prides himself on making cocktails that both bartenders and patrons can enjoy. He worships at the altar of the Japanese mixing glass but has never forgotten that a well-placed beverage napkin is more important. A devout student of cocktail and spirit technique and history, Chris strives to expand his knowledge on a daily basis, keeping always in mind that no tincture or shrub will ever truly make a bartender or his bar.